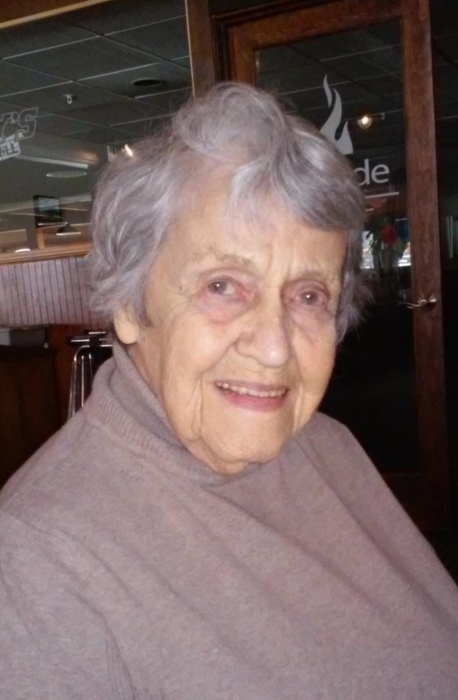 Kathleen (Kaye) Jalbert died November 22 at Northern Light Continuing Care - Lakewood in Waterville, Maine. Kaye was a breast cancer survivor who died peacefully in her sleep after years afflicted by Alzheimer’s. Her grandson Brett W. Fairbrother of Burlington, VT and great-grandson Beck Fairbrother. Kaye and her husband were longtime employees of Palace Playland in Old Orchard Beach during which time they employed many area high school students for the summer months. After leaving Palace Playland, Kaye was employed at Butlers Dept. Store in Biddeford, ME. After the death of her husband, Kaye began working for Home Health Visiting Nurses of Southern Maine where she remained for many years. While at VNS, she was proud to receive multiple awards and commendations for her dedicated services. With the onset of Alzheimer’s, Kaye moved to Wardwell Homes in Saco, ME in 2010 where she lived until 2018, after which she moved to Northern Lights Continuing Care Center - Lakewood in Waterville, ME.